Even though there is no apparent plan to deal with people deemed foreigners, inmates are detained, often in inhumane conditions. 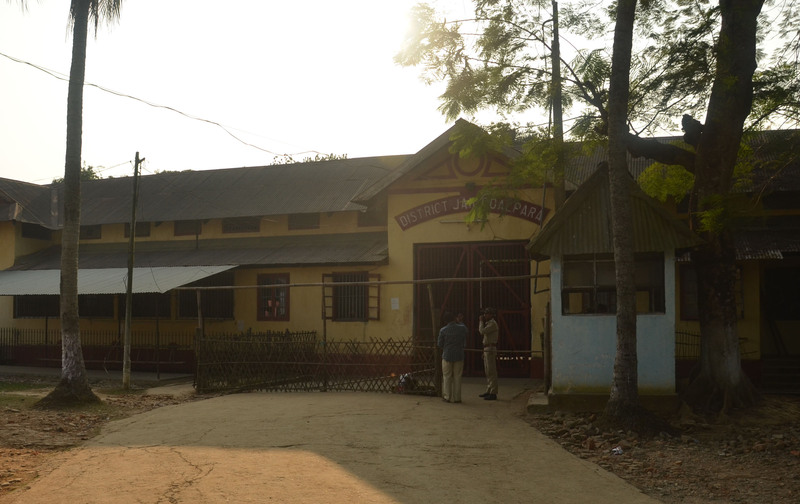 Detention centres in Assam, which are meant to be an institution for the short-term detention of undocumented immigrants, refugees and people awaiting trial before a Foreigner’s Tribunal (FTs), have unfortunately become synonymous with endless captivity. Living conditions in these centres are hellish and there is no procedural clarity on how to deal with inmates. Mental health – or the risks to it – too are a significant problem since inmates rarely get to meet their families and are not allowed to be employed like regular prisoners. While these cause constant distress for those housed in these centres and their families, there has been little progress in addressing the issues. The Supreme Court recently directed the Centre to provide the details of all detention centres in Assam and foreigners who have been kept there in the last ten years. The court was hearing a public interest litigation (PIL) filed by activist Harsh Mander on the matter. The plea alleged that inmates were kept in detention indefinitely simply because they are not Indians and are treated as “illegal aliens”. The bench, comprising Chief Justice Ranjan Gogoi and Justice Sanjiv Khanna, asked the authorities to inform them with year-wise data on how many undocumented immigrants, after being declared as aliens by the FTs, were deported to their home countries in the last decade. It is strange that such basic questions need to be posed by the apex court because the information should ideally be in the public domain if the suo-moto disclosure provisions of the Right to Information Act, 2005 were used properly. This is, however, not the first time that the SC has had to issue such orders. Last September, a different bench of the court ordered the Union government to prepare a manual of detention centres – which is still awaited. The court said that the detention manual should be prepared within two months. The bench has posted the matter for further hearing in February. The problem with detention centres cannot be viewed in isolation. There are two processes that feed into them: one is where a person is declared a doubtful voter (D-Voter) and then during a hearing before the FT, they are declared a foreigner; the second (and more recent) process is exclusion from the National Register of Citizens (NRC). In both cases, whether a person will end up in a detention centre is determined by the FTs. Anyone aggrieved by the FT’s decision can appeal in the high court. The NRC in Assam, which is being updated, has been a particular bone of contention. The large exclusion of names from the draft NRC released recently is mainly due to unclear procedures. Its shortcomings include poor record management, technical glitches and arbitrary physical verifications, among others. Central to the disproportionate exclusion of linguistic, religious and gender minorities in the NRC is the in-built discrimination in rules and procedures that segregates populations into ‘original’ and ‘non-original’ inhabitants. This is coupled with the use of differential standards to verify claims and supporting documents. Those not satisfied with the NRC Claims and Objections (C&O) results have the option to appeal to the FTs, based on whose decision, the final inclusion in NRC will be decided (Section 8 of the Schedule to Rule 4A(4) of Citizenship Rules 2003). FTs use the Foreigners Act, 1946 to test claims to citizenship, wherein the burden of proof is on those being prosecuted (Section 9). The judicial functioning of these FTs has been questioned in media reports with accounts about them being arbitrary, inefficient and under severe government pressure while disposing of the matters before them. These factors greatly dilute their objectivity and also weigh against the suspected “foreigner” who is already in a highly vulnerable state. Experience shows that most people facing the tribunal are poor and illiterate and can hardly avail legal support or representation. Even the quality of the free legal aid available is not adequate to help them. In the current situation, the possibility of statelessness that faces large sections of the population as a result of the flawed NRC process is very real. There is no clear plan to handle these cases. Currently, the only existing mechanism for repatriation is a long and arduous bureaucratic process involving the government of Assam, the Union Ministry of Home Affairs, the Ministry of External Affairs, and the government of Bangladesh. A person can only be repatriated after the government of Bangladesh verifies that they are actually a Bangladeshi citizen. It is encouraging to note that the Supreme Court has passed effective orders to improve the conditions of detention centres, but it is necessary to bear in mind the practical consequences of the very existence of these centres that overflow with detainees. The Supreme Court should also monitor the implementation of its orders and suggest solutions for dealing with long-term detainees, because the latter, in all probability, may never be deported. In many FTs, the detention centres and processes determining the citizenship have been largely against constitutional values and violative of basic human rights. The Centre must urgently revisit the processes involved and engage the institutions involved in drawing out long-term solutions for dealing with undocumented immigration in Assam, rather than take half-hearted and discriminatory measures like the NRC. It should ensure ensure fair, humane and lawful treatment of those kept in detention centers in Assam in conformity with Article 21 of the Constitution of India and international law on the treatment of immigration detainees. Tahmina Laskar is a senior programme officer in Commonwealth Human Rights Initiative’s Access to Information Programme.